I was so super excited and surprised to get my package already. 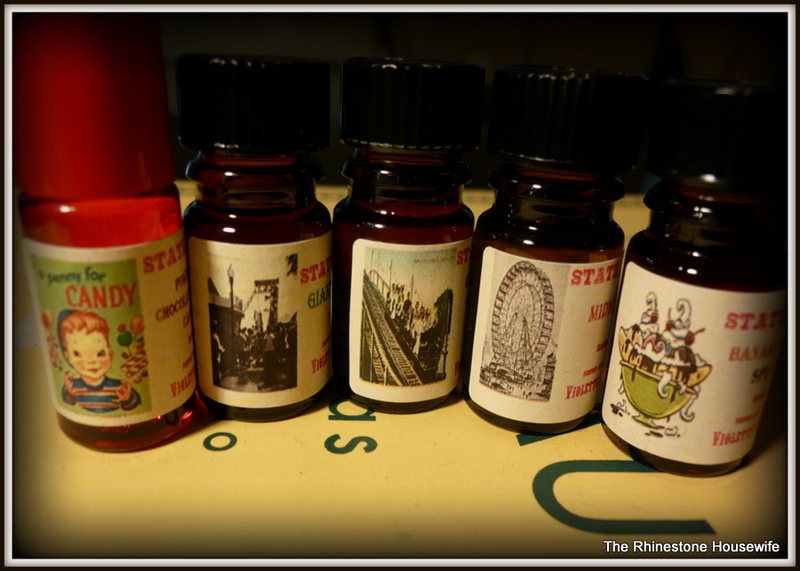 The penny candy bottle is gorgeous and the labels are all awesome. 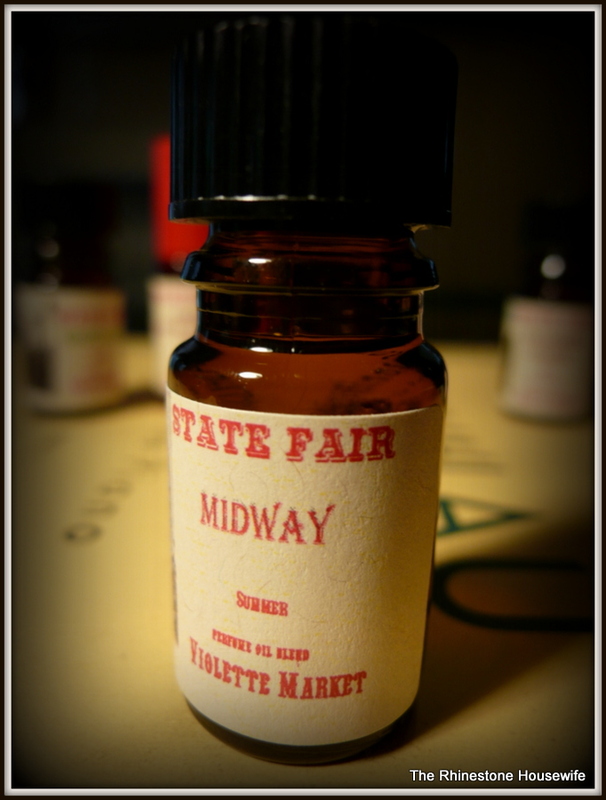 Midway: A sweet, nostalgia-inducing array of sugared elephant ears, funnel cake, pink cotton candy, candied apples, black cherry tartlets, the heat of August, and laughter carried into the night sky. Wet on skin: It smells like the food area of the fair, only it’s just the sweet stuff. Elephant ears, cotton candy and cherry coke. It’s very sweet and warm smelling. Dry on skin: As it dries it starts to smell very warm and cozy. It’s still sweet but it’s somehow more pretty and grown up. 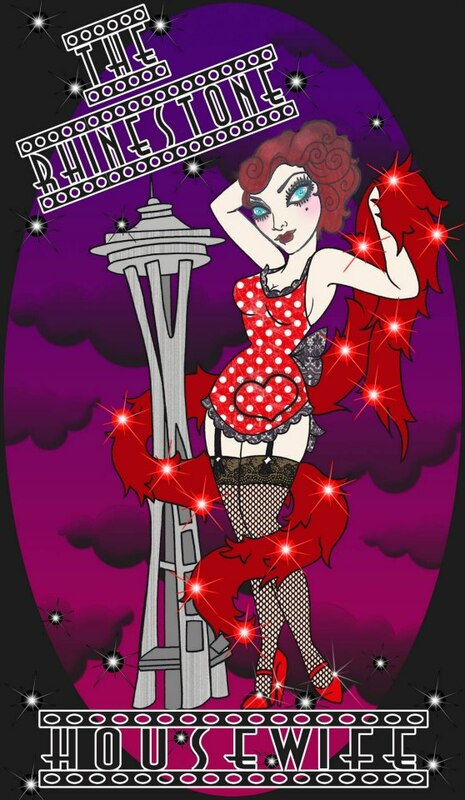 It’s smells like a soft pink vanilla with just a little cherry funnel cake wafting through. Verdict: I love it and I’m really happy I got a bottle this year! Banana Split Splat: Vanilla and chocolate ice cream, ripe bananas, pineapple chunks, red cherries, crunchy nuts, and a waffle cone meet an untimely death to the hot asphalt concrete. As the melted decadance forms a pool of cream it mingles with dark patchouli, aged black vetiver, and trickster resins that echo like clown laughter from the nearby fun house. In bottle: Chocolate ice cream. 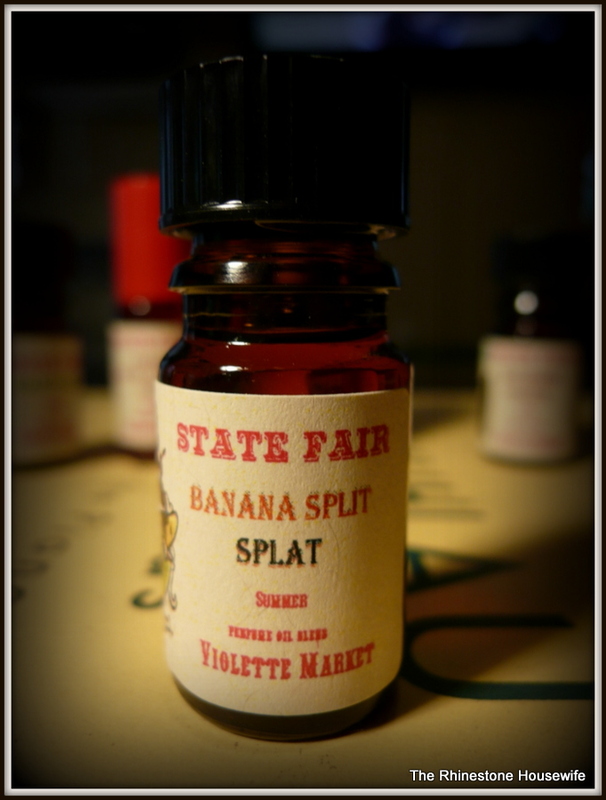 Wet on skin: Cherry right at first closely followed by chocolate ice cream and the resins linger underneath them adding a very bananas foster vibe. Dry on skin: OMG, the hot asphalt has made an appearance and it’s freaking amazing. If you like After Dark or Cherry Bomb, this is like an ice cream version of this. I’m not getting a ton of banana at this point. Verdict: The best way for me to describe this is if After Dark and Cold Confections Cart had a really good smelling baby. It might be the surprise winner for me. 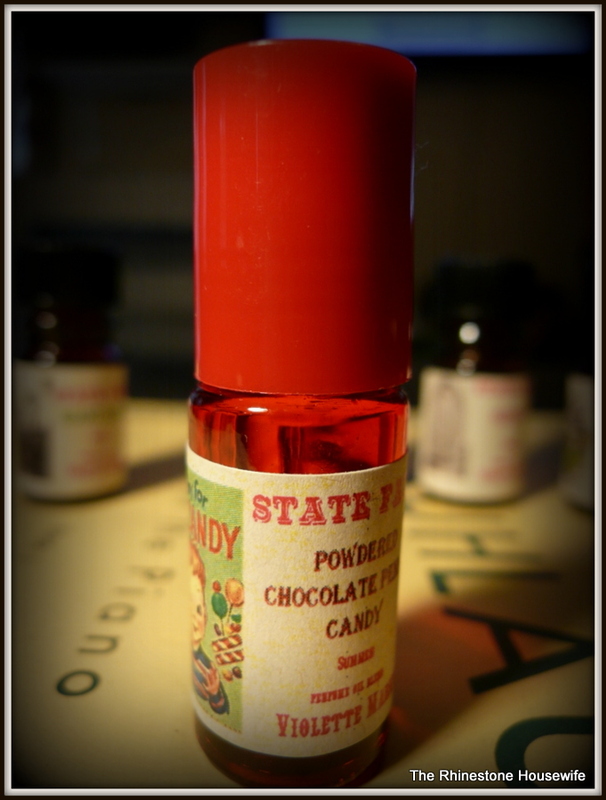 Powdered Chocolate Penny Candy: Get em’ while they last! These sweeties are limited! Sweet and nostalgic confections of musky chocolate covered in a delicate dusting of powdered sugar. 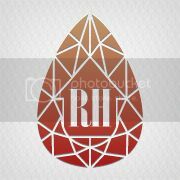 Presented in a 6ml cherry glass roller ball. In bottle: Slightly chocolate perfume. Wet on skin: Ooh, a little spice has come out with the powdered sugar. Dry on skin: The candy note is doing something kind of weird. It’s going through a little bit of a sour lemon stage but then it settles down and it’s quite pretty. It’s like a soft and summery feminine perfume. Verdict: I love the little red roller bottle……I squee’d when I saw it. I think this will age nicely and it will be perfect for carrying in my purse. The benefit of the roller bottles is that they rarely leak! 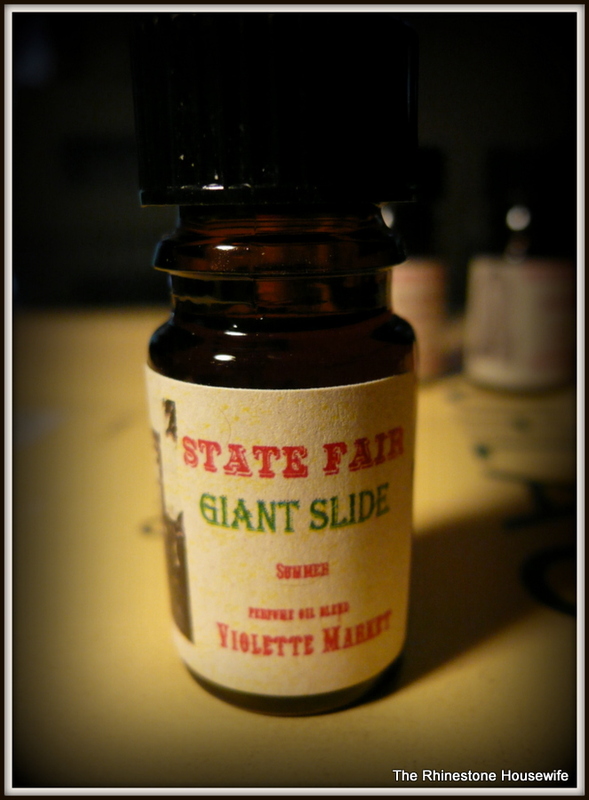 Giant Slide: The scent of dark resins, dusty burlap sacks, and grass stains whipped through the humid August air. Please roll bottle prior to application. In bottle: Oddly like expensive furniture polish? Not like Pledge, but like an expensive oil you’d rub into wood. Wet on skin: Very grassy. Kind of green, kind of dried but grass all the way. It smells slightly woody and hot and also slightly like a green shampoo. Dry on skin: Once it dries down it’s got a dusty and warm grass feel. It shouldn’t smell good but it does! Verdict: This is a very odd perfume. There is no way in hell that it should smell good but it does. I have a feeling the resins will only get better with age. 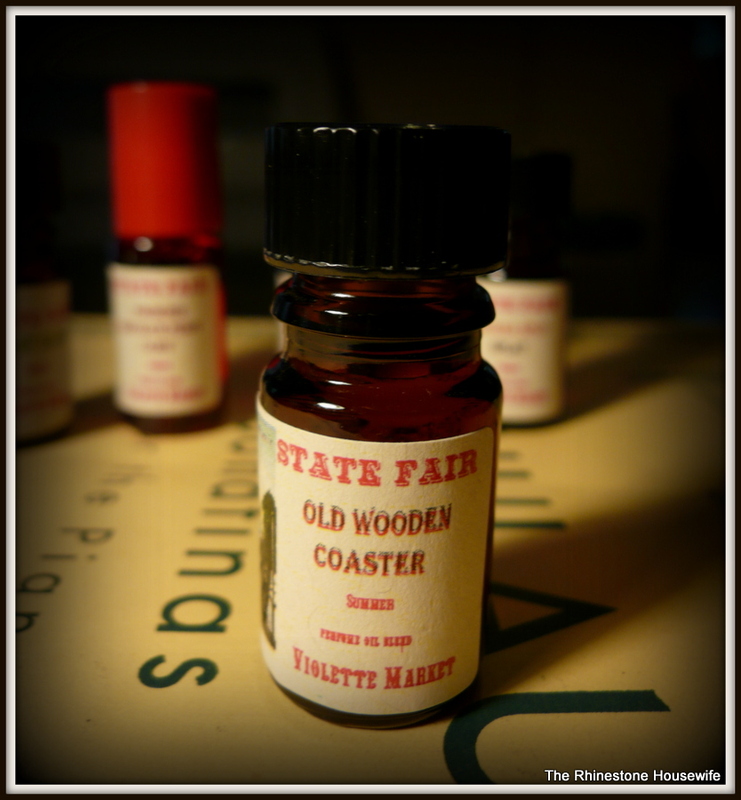 Old Wooden Coaster: Warm and wispy notes of bergamot peel, sweet summer peach, coriander seed, farm gardenia, orange water, white peony, cardamom pods, and tuberose cream race quickly on the wind as the coaster falls down twists and turns supported on a rich base of antique cedar wood, aged patchouli leaf, weather worn blood cedar wood, polished sandalwood, brine accord, black vanilla, and dark guaiac wood. In bottle: Bergamot and wood. 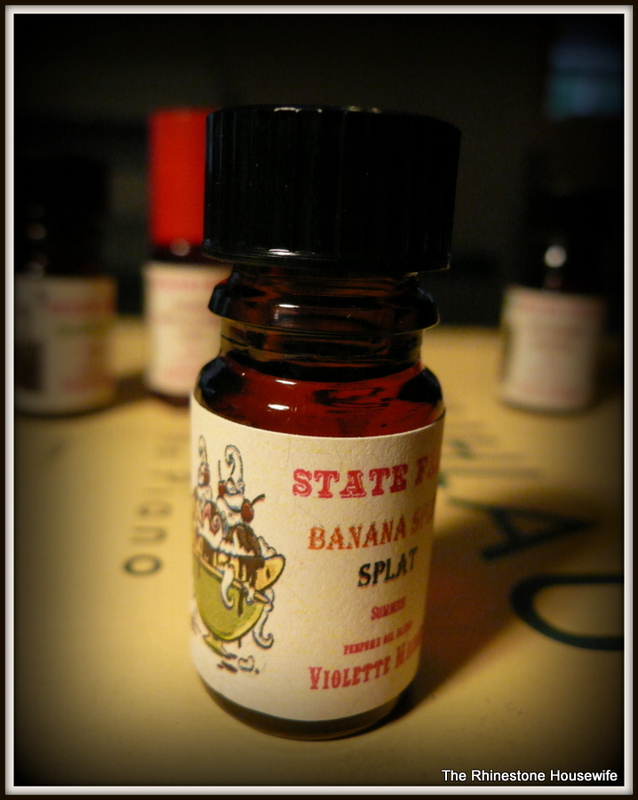 Wet on skin: Woody and slight spicy floral and it smells like opening a cherry wood box. 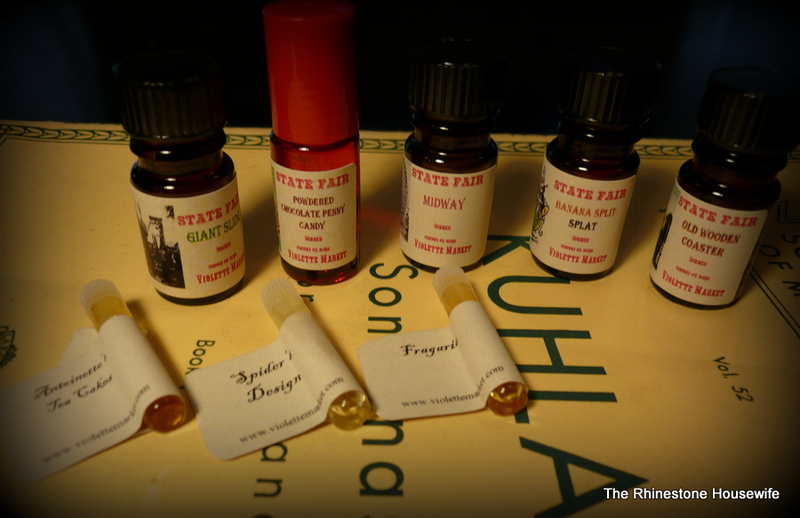 Dry on skin: This is pretty much spicy floral wood still and it smells divine. I feel like this could be good on either girls or boys. Some of these notes are typical death notes for me but they’re working here. Verdict: If you like woody, resinous scents with a hint of something hot and spicy lurking underneath then you should pick this up. I can tell it’s only going to get better with age. Banana Split Splat and Old Wooden Coaster are my favorites followed closely by Midway. VM’s State Fair collection is one of my favorites! Ok so, how do I get any one of those?